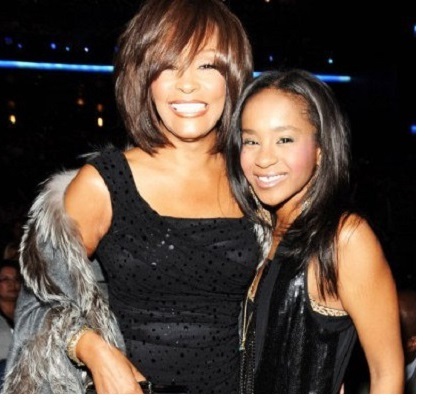 The eerie similarities in the way music legend Whitney Houston and her daughter Bobbi Kristina died are not as unique as it may seem. There have been other noted celebrity parent/child deaths which are just as uncanny as well as many others who are not celebrity personalities. Experts agree that addiction and grief are usually the deciding factors by the way they work together. If not dealt with properly these two things can ruin a family. Whitney and Bobbi Kris both died after being found in a bathtub unresponsive. Drugs played a pivotal part in the I Will Always Love You singer’s life and death and were also involved in the life and death of her daughter, Bobbi Kris. The similarities of this parent and child’s death have sent chilling vibes through social media and many fans. However, their situation is not as isolated as it seems. I remember the day my mother died, I just blocked it out. We all went to school the next day and tried to act as if nothing had happened because my father’s mentality was ‘keep calm and carry on’… But it HAD happened. I did not grieve or cry at her funeral. I could not express any emotions because I was just numb to it all. I did not start grieving for my mother properly until I was about 16. If the parent and child maintain a close relationship through the child’s growing years and that relationship is loving, caring, respectful, trusting and empathetic, the bond stays intact and deepens. Loss of either one is almost certain to result in grief so overwhelming the other may feel as though life has ended for them as well; certainly from a psychological and emotional perspective. It is a life-altering event so much so, the other may not survive it. Whitney and Bobbi Kristina’s death similarities have alarmed many onlookers, but the paralleled events are not as unique as they appear. They shared the majority of their lives together, in love, drugs and partying. Addiction in the world of rehab is often called a family disease because of the ripple effect it causes. Studies have shown once addiction takes the life of a family member, the survivor’s grief often sends them on a downward spiral – especially if they are already an addict. Allegedly, this is not the first time Bobbi Kris experienced a bathtub scare. Reports state three years ago on the eve of Whitney’s death, after partying with her mother, Bobbi Kris returned to her room very intoxicated and fell asleep in the bathtub with the water running. The young woman awakened to find the bathroom flooded and had to be hospitalized for acute alcohol poisoning. This was the same night Whitney was found dead in her tub. Her mother was a major part of her problem as was her father. What responsible parent is a drug addict and alcoholic and allows their child to party with her? Stupid, irresponsible parenting always has disastrous results. Children need parents to be parents not to be friends…kids have their young friends for that. 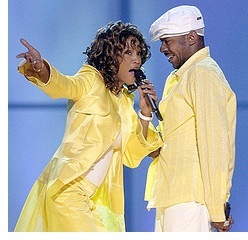 Whitney and her daughter’s deaths are eerily similar, but such is the case for other celebrity losses. Bobbi Kris will be buried on Monday alongside her mother at the Fairview Cemetery in Westfield, N.J. Many have said the circumstances surrounding their deaths are so similar, it almost seems as if Whitney and Bobbi Kris died together. Hopefully, the lessons lodged within their tragic endings will not be buried with them. One Response to "Bobbi Kristina and Whitney Death Similarities Not Isolated"